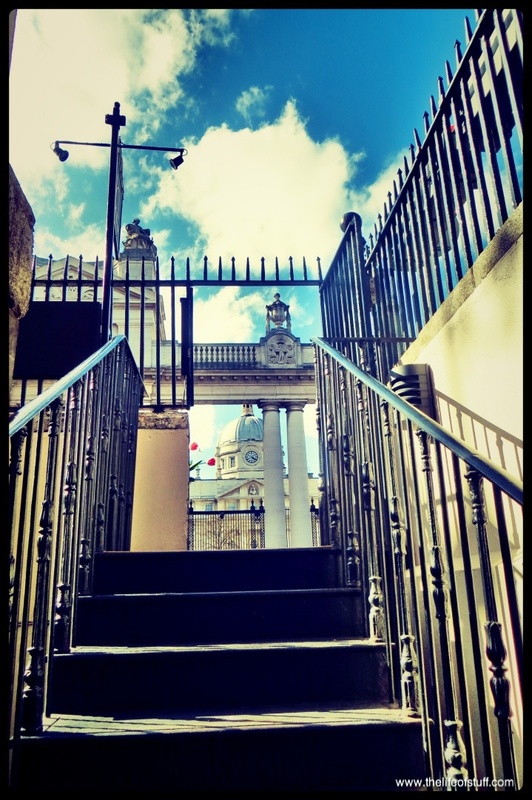 When the opportunity to try out the Sunday Brunch at The Cellar Bar – Merrion Hotel, came up last week, I grabbed it with both hands, knife and fork at the ready. Taking my fellow food loving hubby along, I booked a table for two for 3.00pm. I did have a look at the menu online but only briefly. First impressions, it looked jam packed full of everything I would love to get my teeth into but what surprised me were the prices. Sometimes when you think of Five Star Luxury Hotels and their restaurants, you think luxury prices too but The Cellar Bar’s Brunch price list was really competitive compared with other Dublin restaurants … however the true test to value is the actual service and the product … we were there for both. 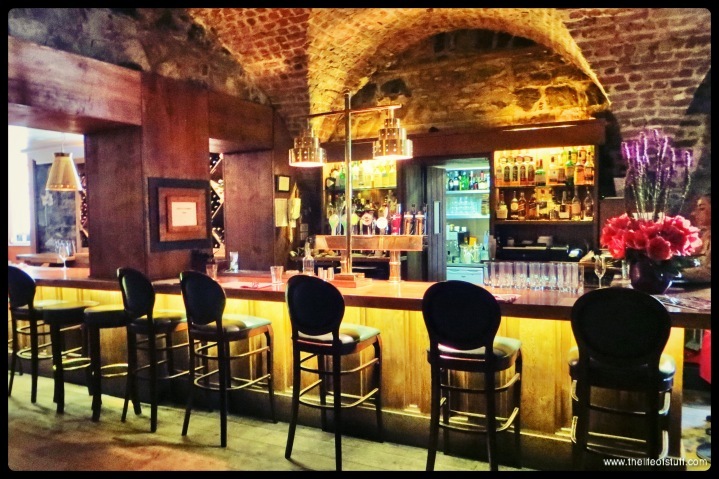 The Cellar Bar is, as you can imagine, in the cellar of The Merrion Hotel. It’s on the lefthand side of main entrance of the hotel down railed steps. If you have a pram or use a wheelchair, access can be made through the hotel itself. 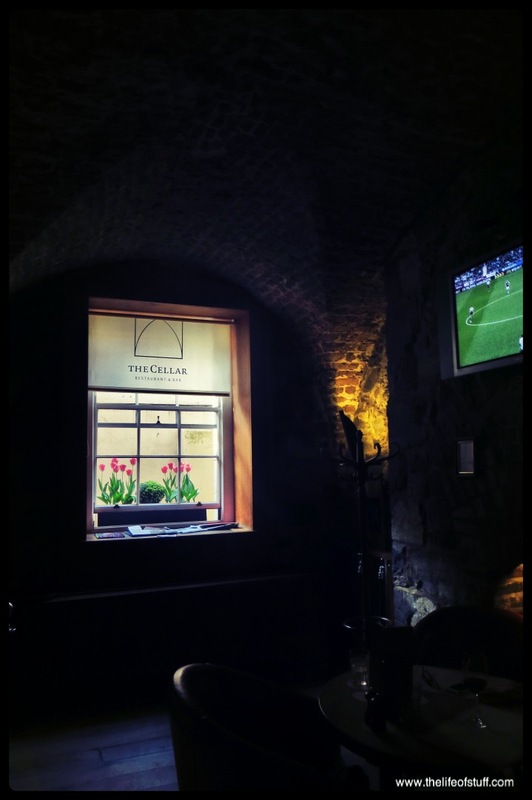 When you think cellar, you think dark and gloomy but The Cellar Bar is neither. There is a fine long, fully stocked bar with high stools and Sunday Papers. There is also a TV for Sunday sports fans and table with chairs for those who prefer to sit back from the bar. For dining, whether it be for one, two, or a party of brunch lovers there is a large open planned tabled area. 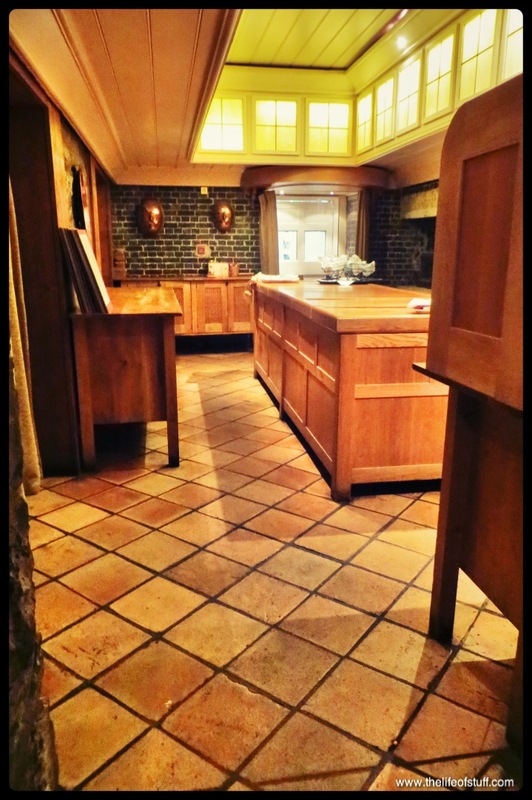 There are also a handful of alcoved private dining areas that open out to a communal walk way. Our table was reserved in one of the alcoved areas. 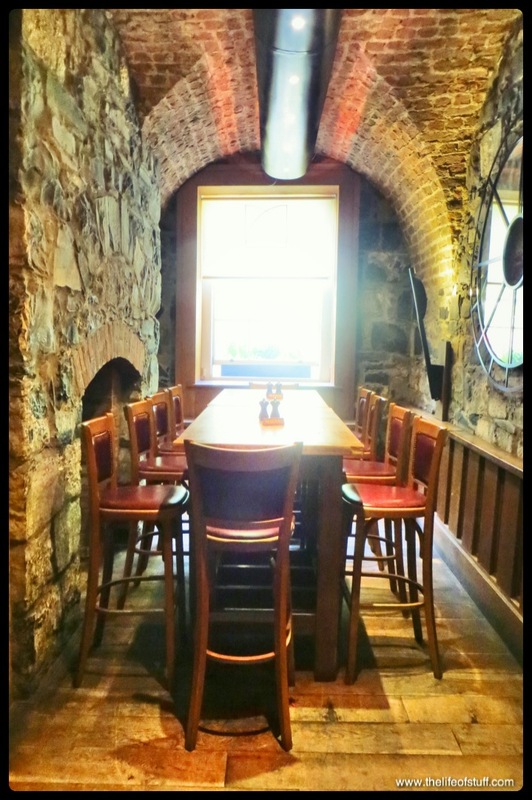 I found the privacy lovely, the walls are bare with the old stonework of the original cellar, tasteful artwork adorns them and the lit lights create a warm ambience. We were greeted with smiles and served our menus. Later Philip, The Cellar Bar Supervisor was at our beck and call. He was attentive but not overly so, informative about the menu both for food and drink and really down to earth, which is exactly what you should want on a Sunday afternoon. To begin our Sunday Brunch experience, we chose a pitcher of the Brunch Refresher cocktail, as recommended it was light, refreshing and dangerously moreish. Basically I could’ve drank the whole pitcher myself and possibly have asked for seconds but I wasn’t there to party. I was there to eat. As you can see from the menu I’ve included above, there really is a varied selection of foods to choose from, which is ideal in my opinion as it should appeal to everyones taste in some way. The way I saw it, if you were brunching with friends, some may be slightly fragile from their Saturday night adventures and only want pancakes, eggs or have a goo for a burger, others may have ran a marathon and fancy a steak, while the remainder may fancy a sharing platter of Italian goodies or freshly prepared seafood. Either way everyone should be happy. For starters I chose the Charentais Melon with Parma Ham which came with clemintine mustard and arugula salad. Patrick chose the Ceasar Salad which came with chicken, anchoives, rye croutons and shaved parmesan. We both decided to try share a couple of sides, so chose the Tom Doherty’s Black Pudding which was served with caramelised apple and the O’Donovan’s Pork Sausages. My dish arrived elegantly placed on a slate and it was fresh, tasty with the right ratio of melon to parma ham. I cleared the slate. Patrick thoroughly enjoyed his salad, he said it was the best Cesear Salad he’d ever had, now there’s a compliment. I also enjoyed Patrick’s salad as he generously but somewhat hesitantly let me have a bite or two. The leaves were crisp, the chicken was succulent and the anchoives delightfully added to the combined flavours and overall taste. We both revelled with the taste of the black pudding with the caramelised apple and the sausages were as tasty as they come. Both were quality and deserve their place on the menu. For our main meals. I chose the Croque Madame, I have a thing for Croque Mousieur and the Madame is similar, the difference is the egg on top, which makes sense of the name. The Cellar Bar Croque Madame is made with arbutus bread, Dubliner Cheese, ham, cheese sauce and is topped with an organic sunny side egg. Patrick chose the Huevos Rancheros, which I’m sure I saw Jesse from Breaking Bad rustle up in one episode, I had a feeling Patrick’s would taste a whole lot better though. The Huevos Rancheros consisted of corn tortillas, re-fried beans, two fried eggs, avocado, red onion, corriander, tomato and sour cream. My Croque Madame was deliciously tasty and made to my liking, the bread was crispy where it should be and cheesy all over. Patrick’s Mexican inspired dish was packed full of taste. I thought it could’ve been a little warmer but I’m unsure as to how it is normally served, warm or hot. Patrick devoured the dish, practically licking the plate and for someone who isn’t the biggest egg fan, those eggs didn’t last long. For dessert, both Patrick and I wanted something light as we were fairly full from our previous two courses and still sipping on the Brunch Refresher. I chose the Lemon Posset which came with lemon marshmallow and fresh raspberries. I also ordered a double shot espresso. Patrick under the recommendation of one of the hostesses chose the Featherbed Dairy Ice-Cream Sundae. My choice was divine, and so much so I could’ve ordered another but I refrained. The posset was creamy, the marshmallows had a zesty kick and the raspberries provided the medium between the sweet and sour. Patrick was a little surprised when his dessert arrived at the table. The dessert itself was gorgeous but it wasn’t the light sorbet styled dessert he’d expected, it was more like a Knickerbockerglory and a little too big for his soon to be full belly. He did enjoy it though and if his appetite had allowed I know he would’ve devoured it. Conclusion to our Sunday Brunch at The Cellar Bar. This part is short and sweet. Let me just say that even before our brunch was finished we discussed when could return and who we could bring with us. 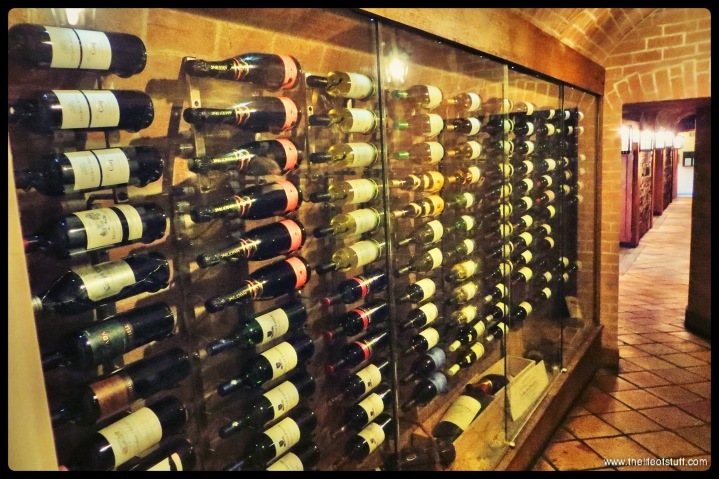 For more information and to book a table for Sunday Brunch, you can visit The Cellar Bar online at www.merrionhotel.com/diningcellar_bar. The opening times are 11.30am to 5.00pm every Sunday. The Cellar Bar also opens for lunch and dinner, both of which I’m yet to try but if Sunday Brunch is anything to go by, I’m sure I’ll be hooked when I do.